Hey, my dog does this! Scientists smell a giant rat! Be quiet, he can hear you. Now that's a big baby! Big cats hunt for Easter eggs! Transparent fish caught on tape! The Fossil Record. All rights reserved. 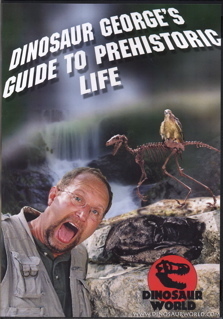 As the DVD jacket says, “Old bones that have been stuck in the ground for millions of years can get a little dry,” but Dinosaur George’s Guide to Prehistoric Life brings them to life. Beginning at the dawn of time, Texas paleontology expert "Dinosaur George" Blasing explains that life on our planet started in a sort of primordial soup (which is followed with a shot of a soup line filled with his colleagues on the bone dig) about three billion years ago and eventually evolved into all sorts of wonderful living creatures, including us humans. I have both DVD's and have loaned them to local schools in the Schertz Texas area. They are used in the science classes and are very well received. 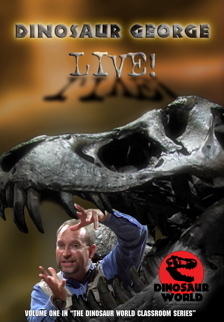 A MUST see for the young and old interested in "old, dry bones."